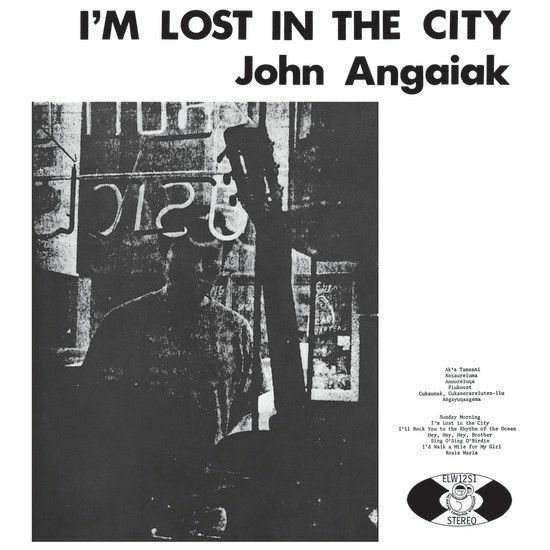 I’m Lost in the City (1971) is the sole vinyl LP offering from Yup’ik singer-songwriter, John Angaiak. Each side of the album, which showcases John’s intimate vocal and guitar style, shares a part of Angaiak’s culture and history: Side One is sung in Yup’ik, while the material on Side Two is delivered in English. Both are equally emotional, deeply personal and extremely affecting. An important statement on indigenous life and the human condition, I’m Lost in the City showcases Angaiak’s first hand perspective on this challenging transition, something that we can all learn a great deal from.